During the chilly and dark months of winter, Alaskans like to get a little creative with their drinks. Here are some of our favorite seasonal drinks, each with a special twist from the Last Frontier. 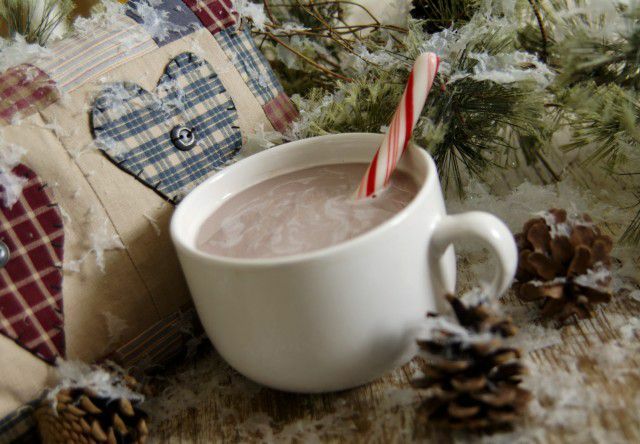 Westmark feature: Hot Peppermint Patty – A favorite at Westmark hotels, this sweet, seasonal beverage is the perfect nightcap on a chilly Alaska night. Alaska twist: Use locally made artisanal chocolate from a chocolatier such as Modern Dwellers Chocolate Lounge. At Westmark hotels, the artisanal chocolate is not only made locally, but in-house! Gin and Tonic – A fresh gin and tonic is a perfect post-work pick-me-up before heading out to enjoy a night on the town. Irish coffee – Hand down, Irish coffee is one of Alaskans’ favorite ways to warm up after a day on the slopes. Alaska twist: In addition to locally made Alaska Outlaw whiskey, try using coffee from a local roaster such as Kaladi Brothers or SteamDot. Mulled wine –A warm cup of mulled wine is always a crowd-pleaser at winter dinner parties and gatherings. Alaska twist: Try using a wine from Bear Creek Winery, such as its black currant wine, and throw in some mulling spices from Summit Spice & Tea Co. in Anchorage. Beermosa – With a multitude of local breweries in the state, Alaskans love starting the weekend off right with a Saturday morning beermosa. Alaska twist: Use a bright and hoppy beer like Midnight Sun Brewing Co.’s Pleasure Town IPA.